Sale starts February 14, 2019. 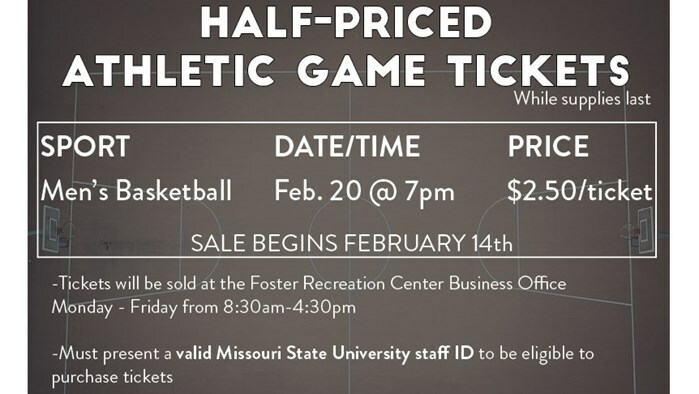 Buy tickets at Foster Recreation Center between 8:30a.m. and 4:30p.m. (while suppplies last). Must have staff MSU ID. Cash only. No holds and no sales over the phone.